I have to admit I haven’t really followed the discussions surrounding the Critical Role Kickstarter project. Heck, I haven’t even checked out the project itself until recently. So what is all the fuzz about? Matthew Mercer and his motley crew of voice-acting friends, famous for their D&D actual play series Critical Role, are raising funds for the production of a animated TV series called “The Legend of Vox Machina”. In no time, they reached the set goal of about 666.000€ and at the time of this writing they have raised over 6 million euros. This is HUGE! I don’t think any roleplaying-related fundraiser had ever raised that much money. Quickly criticism was raised (Check out this article on Kotaku). At first people from the industry were obviously miffed that streamers like Critical Role make more money off of RPGs than the people actually designing those games. In a way I can understand the frustration. Making money in the RPG business is extremely hard. There are only a few designers out there who can live off RPGs alone. But in that case it’s IMHO an apples versus oranges situation. Critical Role is raising money for an animated TV series. A lot of the people interested in this series might not even be roleplaying game fans themselves. I have watched a couple of episodes of both seasons of Critical Role and I can see the appeal of taking part in their adventures as a spectator. It is possible that some of the backers have never played a roleplaying game in their lives. Perhaps they heard from friends about the show, or they know Vox Machina from their cameos in the Pillars of Eternity 2 video game. Will some of the people backing Critical Role now eventually throw money towards roleplaying game creators? Possible. My point is that the show might have a larger appeal than just people playing D&D 5th Edition or Pathfinder at the moment. In the long run the success of Critical Role will probably lead to more sales in the RPG industry. The second criticism raised is about diversity. While this particularly group of friends is not entirely male, like way too many roleplaying game groups, the lack of persons of color is noticeable. We all know that representation is important. Critical Role has become a kind of ambassador for the roleplaying hobby, and so it would be great if their cast included persons of color. But things are not that easy. Before Critical Role was a hit show on Twitch and YouTube, the members of the group were just friends enjoying the game. There have been several guest players on the show and perhaps they might actually add a non-white person to the cast. Since the show evolved from a fun past time to something greater, calling for more diversity and more representation of minorities on the show might not be unreasonable, but it’s not something we can force. Change is slow. But I think we are on the right track. With their popular and financial success comes a certain responsibility. The future will show if they use their power to do good for the whole community or if they are more interested in increasing revenue for themselves. From what I’ve heard so far, Matt Mercer and crew are good people. They’ll hopefully do the right things. And if not, we – as fans and fellow roleplayers – can nudge them into the right direction again. It’s the same in live as it is in roleplaying games: It’s not only one person’s job to ensure everyone is having a good time. This responsibility falls to all of us. 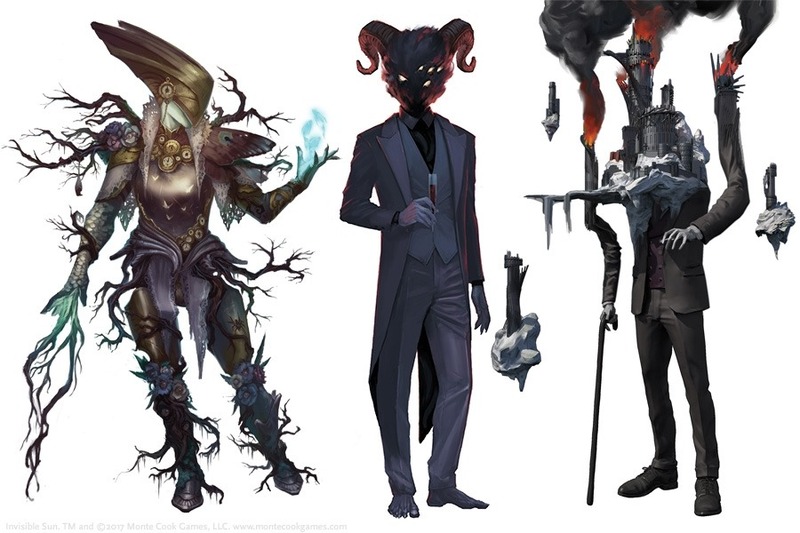 What are your thoughts on the criticism regarding the Critical Role KS? Please share your thoughts below! A few days ago I was surprised to find emails from DriveThruRPG in my inbox with links to free copies of three new products. As it turned out Mödiphiüs had just released an updated version of their Achtung! 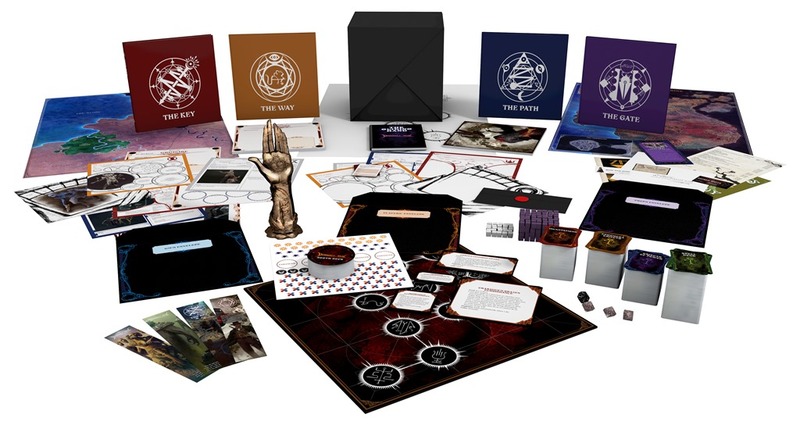 Cthulhu game for 7th Edition Call of Cthulhu, and as one of the original backers I was eligible for a free copy. The core rules consist of the Investigator’s Guide (a 128-paged PDF containing all the rules needed by the players) and the Keeper’s Guide (a 216-paged PDF with the background, new rules for WW2 combat, a bestiary, and everything else the GM needs to run this game). Achtung! Cthulhu is – as the name implies – a Call of Cthulhu game set into World War 2. The horror of war and the atrocities of the Nazis are combined with Lovecraftian cosmic horror. The characters are Allied soldiers or agents of Allied services fighting both the Axis and the Mythos creatures weaponized by them. The setting also helps to solve one the issues that often crop up in Call of Cthulhu games: why should the investigators travel the world, risking their lives and their sanity, while at the same time jeopardizing their jobs and relationships? Delta Green solved the issue by making the investigators members of a government conspiracy. In Achtung! Cthulhu you’re playing the soldiers fighting a war. Unfortunately I haven’t had the time to actually play Achtung! Cthulhu yet, but now I can at least do so with the latest iteration of the Call of Cthulhu rules. If you enjoy Lovecraftian Horror and have an interest in WW2, you definitely should check Achtung! Cthulhu out! While checking out the official Mödiphiüs site I was also reminded of Achtung! Cthulhu Skirmish, their tabletop miniatures game in the same setting. Miniature skirmish games have always been a mixed bag for me. I love playing those games, but I am not particularly good at them. They can also quickly become a huge money and time sink. I have to admit that Achtung! 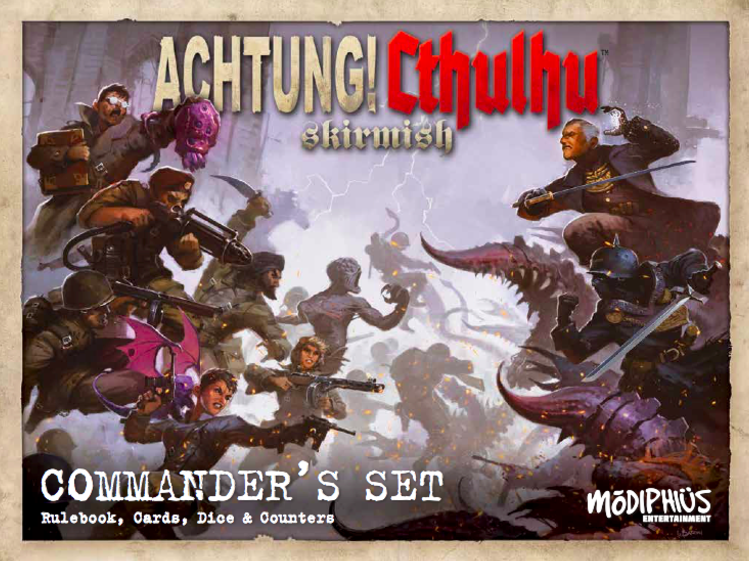 Cthulhu Skirmish looks quite tempting and the miniature prices are very reasonable. If you are into these kinds of games, you definitely should give it a look. What are your thoughts on Achtung! Cthulhu? Have you actually played the RPG or the miniature game? Please share your comments below.